November 13, 2018, RegitzMauck Press Release. 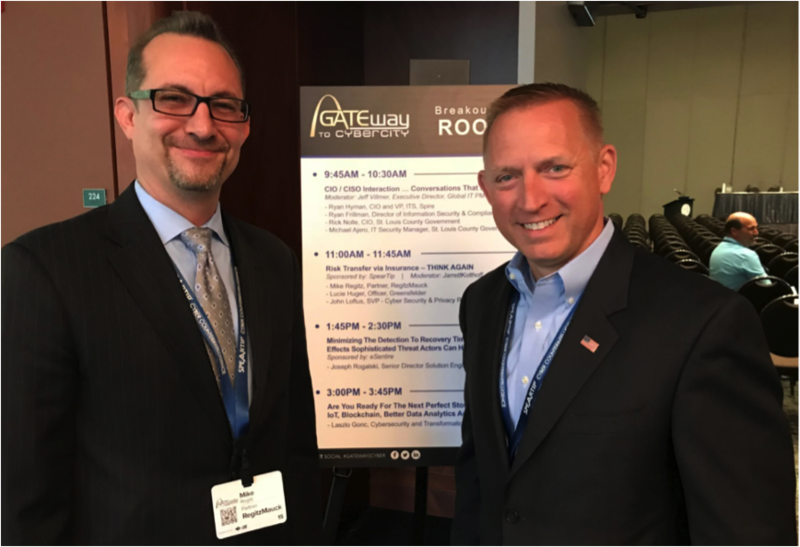 On November 1, 2018, Mike Regitz of RegitzMauck was a panelist at the 2018 Gateway to CyberCity Conference at America’s Center in St. Louis, Missouri. The panel discussion focused on the cyber insurance market, cyber fraud threats, cyber insurance policies, insurance coverage lawsuits, panel counsel and vendors, claim handling procedures, cyber insurance brokers, and contracts mandating the purchase of cyber insurance policies. 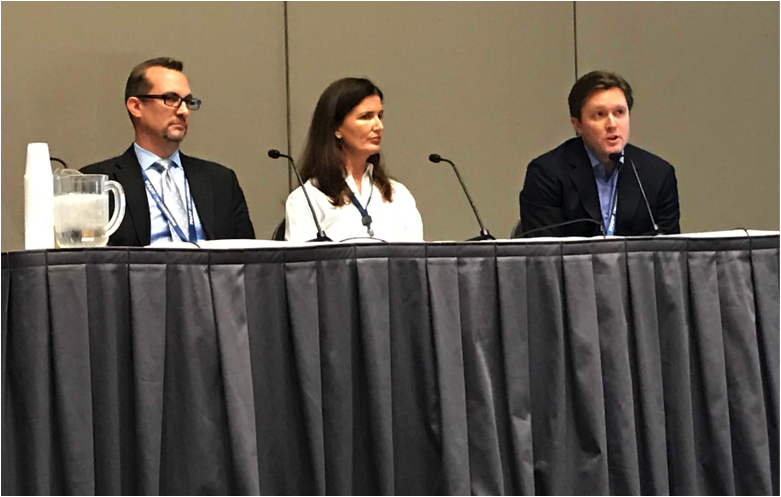 Mike was joined on the panel by Lucie Huger (Officer, Greensfelder) and John Loftus (SVP, Cyber Security and Privacy Risk, Willis Towers Watson). The panel, entitled “Risk Transfer via Insurance – THINK AGAIN,” was moderated by Jarrett Kolthoff, President /CEO of SpearTip. The Gateway to CyberCity Conference is the region’s premier single-day event designed for the local St. Louis IT executive community. It provides the region’s IT executives an opportunity to gather for a day of networking, collaboration, and knowledge-transfer through peer-led keynotes, breakouts, panels, and networking sessions. SpearTip is an advisory firm consisting of industry leading professionals providing their expertise and offering of a full range of security services, including incident response and digital forensic investigations.